Take a look at the photo below. What does it tell you? What do you notice? It tells me that with close to 60 tabs open, this student was so distracted by the extension that he/she wasted a significant amount of time being off task. The worrying thing is that if this student continues these patterns of behaviour, he/she will find it increasingly hard to focus on learning. Let’s face it – learning is our business! But how much direct teaching goes into helping students learn how to focus? I’m willing to wager not enough. We need to be fair to our students: we can’t expect them to pick it up through osmosis. As teachers, part of our role is to teach into how to focus, not merely that one should focus. Telling students to delete distracting elements such as non-educational chrome extensions is not enough; students need to understand the reasons behind the request – why is it unsuitable for learning? After all, they’re not doing this maliciously – they have a genuine curiosity and love making their devices feel like their own. The trouble is, many of their choices have a negative impact on their ability to stay on track and focused. Helping students to identify what helps their learning and what hinders their learning is a great place to start. 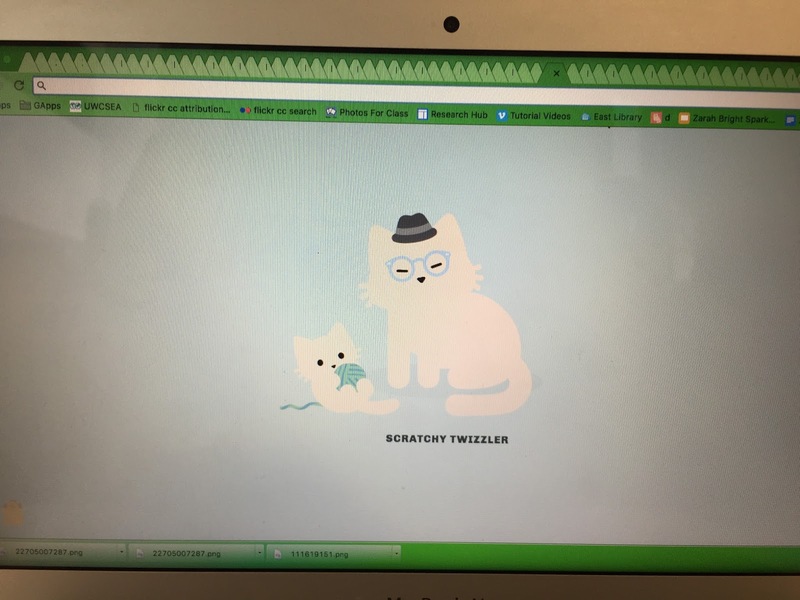 Recently, we had a number of students install a Chrome Extension called Tabby Cat. 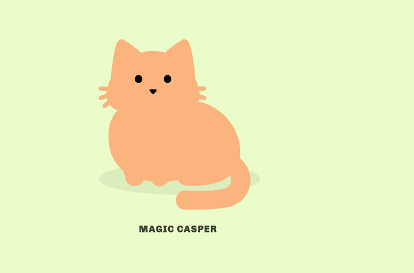 It’s a cute, harmless-looking extension that shows a different cat every time you open a new tab. You can interact with it, and sometimes you will get little gifts to play with. Sounds ok, right? Helping students understand that each new picture of a cat is essentially rewarding distracting behaviour, can help them make better choices.One recommendation is to replace Tabby Cat with the Chrome Extension Momentum, which gives one new picture a day, together with the question: What is your main focus for today? 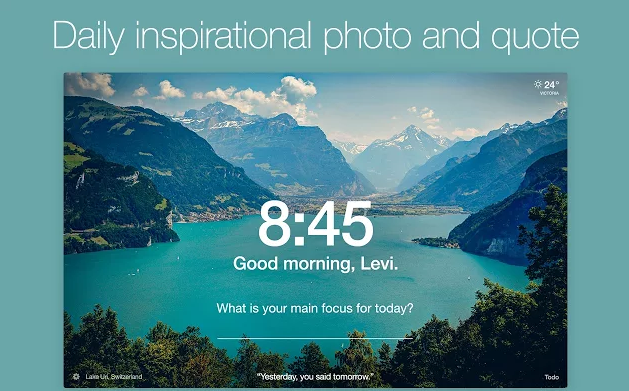 This personal reminder prompts students that they have a task to complete, with a beautiful photo that doesn’t change every tab. 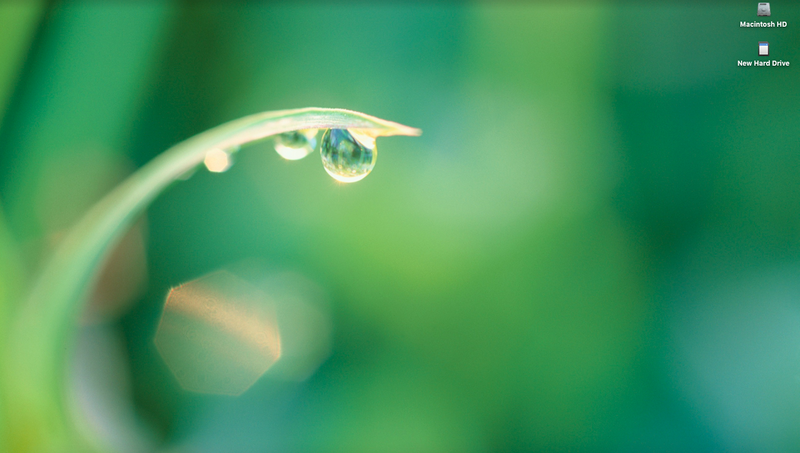 “Vision trumps all other senses,” according to John Medina, author of Brain Rules. Approximately half of the brain’s resources are dedicated to processing visuals. Our brains are attuned to noticing colour and movement, so moving backgrounds, animated gifs and scrolling advertisements draw our attention. In pairs, students helped each other make good decisions to remove distracting movement – that was the easy part. The hard part was making good decisions about their desktop backgrounds. Saying goodbye to their favourite sports star or cartoon character was more of a challenge for some. We discussed quality resolution of images being more pleasing to the eye. We also introduced the idea of colour association. Green is a calming colour (think, Green Rooms backstage in theatres) and blue can help with productivity. Encouraging students to choose a green/blue-based image that is high quality helped them see they still had some choice and the option of personalisation, but not at the expense of their focus. Students using school laptops that don’t go home, really have no need for multiple desktops. 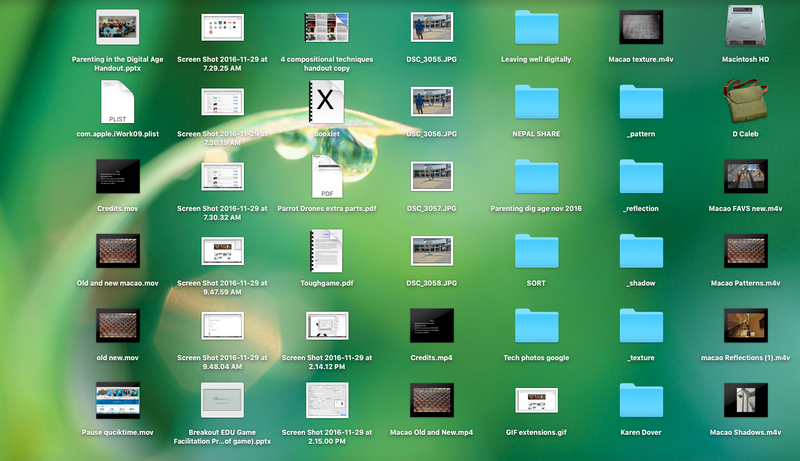 Deleting extra desktops will help to remove the temptation to swipe between apps. Effective Digital Reading using Safari Reader View from UWC South East Asia on Vimeo. 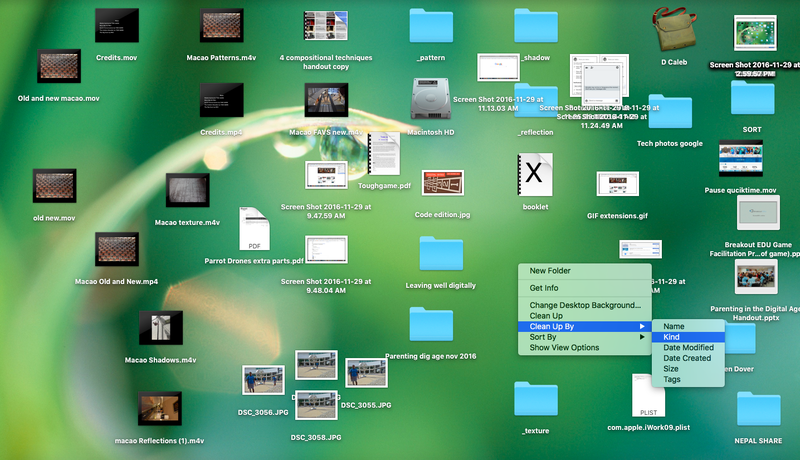 Once organised by kind, it’s easy to trash all the screenshots and/or arrange files into folders. We recommend moving files/folders to Google Drive or Documents on a Mac (depending on file type) rather than keep things on the desktop, so as to make startup as smooth as possible. Aesthetically, it’s also more pleasing! 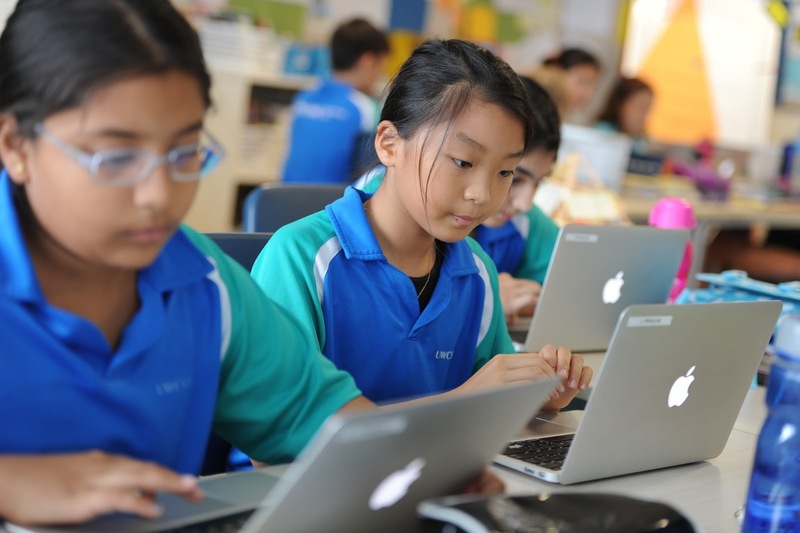 These suggestions are aimed at helping empower our younger students to make better choices by being well informed about distracting elements on their laptop. 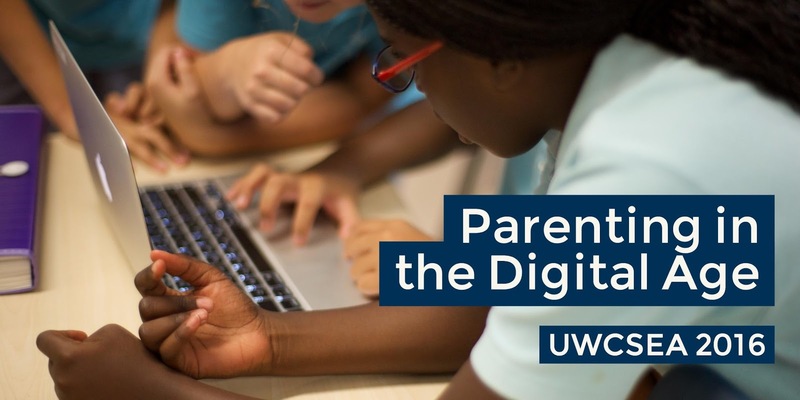 If you are interested in specific apps and Chrome Extensions to take managing distractions one step further (blocking specific sites etc), you may wish to check out my recent post on Parenting in the Digital Age. Do you have any other great tips for managing distractions in primary? We welcome your ideas! Being the first group of people to parent the iPad generation certainly is an adventure. Communication – We can communicate quickly and easily with people around the globe via messages, email, FaceTime, FaceBook and instant messaging. In our international school setting, this is a huge benefit. Efficiency and Organisation – GPS has changed the nature of travel. We can find any address easily, even if we haven’t been there before. We can use apps to organise our shopping list, to sell our used goods, and let’s not forget do our banking. Learning – Now we can teach ourselves anything with the powers of YouTube, Pinterest and Google combined! Lost the rules to your board game? No problem! Need to change a tyre? Can do! Learning can be 24-7. Entertainment – It’s only in the last few years that Netflix came into being! Developments in movie and video distribution, the gaming industry and the explosion of apps means there is a little something for everyone when it comes to entertainment. Medical – At the consumer end of the scale, fitness monitoring is now built into many devices, and made it easier to be aware of the need to keep exercising regularly. We are, however, realistic about the challenges facing parents too. We have put together a resource that has information, articles, and apps around common pressure points for parents. We have tried to provide a balanced perspective around some of these key issues so that you as parents can find an approach or strategy that best fits your parenting style. We encourage you to keep the lines of communication open with your children. Inspired by the Key Jar, we have put together a list of questions that might help you begin some conversations with your child around some of these issues. Perhaps print them both off and mix them in together? Common Sense Media has a lot of resources around parent concerns, so that is also a great source of information. At the end of the day, each family is different, and you need to find the right combination of solutions to challenges that works for you. I hope these resources are a step in the right direction. Inspired by the work of Reggio Emilia, UWCSEA East infant teachers have been exploring documentation to make learning and thinking visible. The role of the teacher in this process is to observe the students carefully, look for those significant moments, and capture images/videos together with examples of student voice. 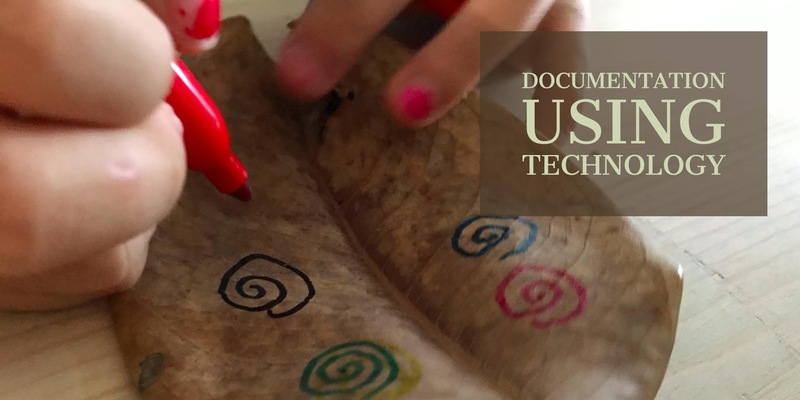 This documentation is brought to their teaching teams so they can interpret it, explore options for next steps for the students involved, and make connections to the curriculum where relevant. My colleague Dave Caleb and I had the opportunity to present to the infant teachers about ways technology can help support the documentation process. As you can imagine, technology is a natural fit for this sort of process, so we had lots to share. Our presentation is below. We would love to hear your ideas about ways technology can enhance the documentation process. Leave us a comment!